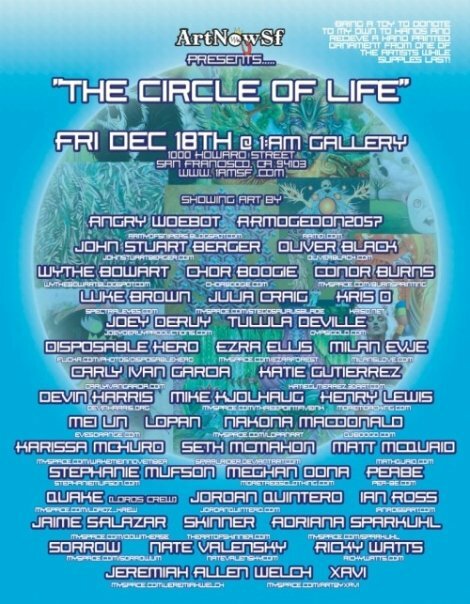 I’m thrilled to announce another wonderful event with SF’s ArtNow, featured here in Juxtapoz: Circles of Life show at the 1 A.M. Gallery. I used to live off Exit 360 in Olympia, WA, which hosts the area code 360 as well. Whenever I’d get off the exit, I’d meditate on the sign and know that in each moment we’re already whole and complete, and when we can quiet our minds enough to feel this, real peace can come. 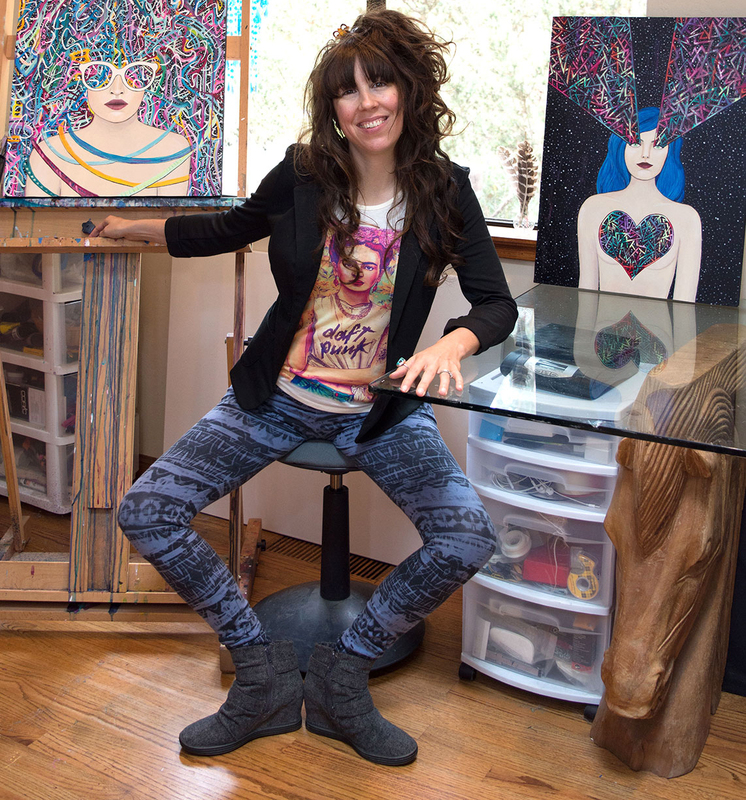 My art process always begins with a spark that arises within that mindspace of wholeness. Glad to be a part of this exhibition — feeling the full circle theme for sure! See you all there! This is a toy donation station from 12/8/09 until 12/24/09 for Friends of the Children (www.fotcsf.org), Opportunity Impact (www.opportunityimpact.org), and “My Own Two Hands”. Please bring only new, or like-new toys to donate. Every toy donor will receive one ticket redeemable for an artist painted ornament while supplies last. Thank you!